How many of these songs were supposed to be on 'Face in the crowd' project? Those songs sounded great on the 'Detour' lets hope they see the light of day. do we know if the songs slated for Friday are a physical release there's nothing on Amazon today. None of the songs are from the ‘A Face In The Crowd’ musical. The three BB/EC songs may be (leftovers) from the ‘Painted From Memory’ musical. sweetest punch wrote: The link to MusicTap is dead. "Out of respect to label wishes, the EC news about a new album has been pulled aside. However, if you wander over to EC’s site, and view the news portion (here), you will note with the asterisks, that the new album is being included with some tour dates. The first noted tour date with the album inclusion is November 9. You can assume the obvious release date to be ahead of that. Watch for a pre-release single just around the corner!" I hope, what with the cancellation of UK and Europe dates this summer and this new album coming... we will see some UK dates announced at some point. Obviously things are on hold for now and that's completely understandable, but please come and play us your new tunes when you can, EC! Maybe November 9 will be the release date nunki as a) it is a Friday also and b) if the implication is lp to be sold at the show...why would there be 4 shows where product will NOT be sold if indeed already released???? FrankieJ wrote: ...please come and play us your new tunes when you can, EC! Tickets for Bethlehem 11/2 include a copy of the album. 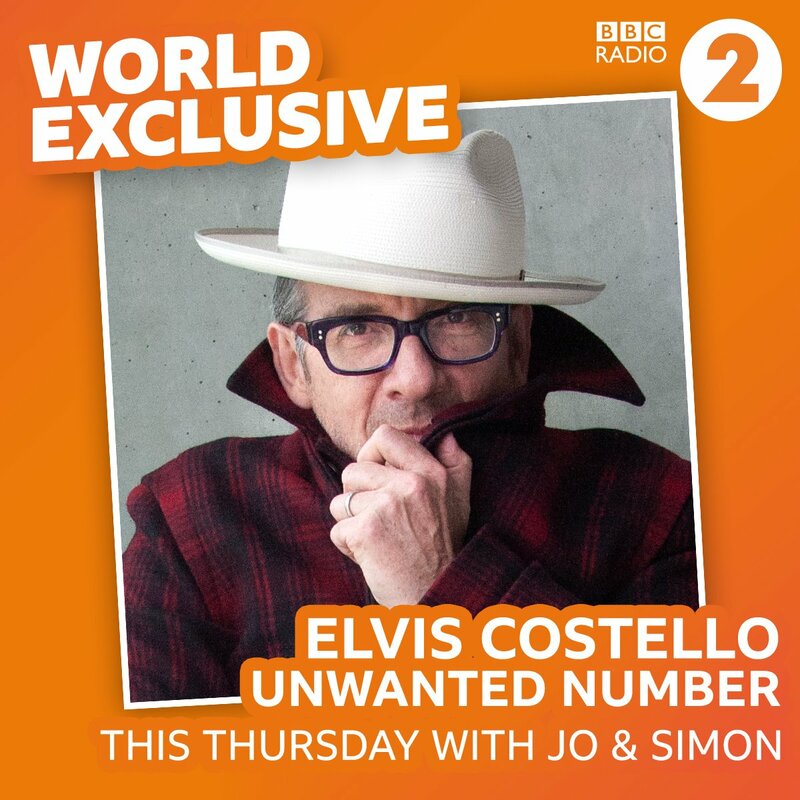 "Tomorrow @jowhiley and @simonmayo have the World Exclusive first play of the new song from @ElvisCostello. They'll be unveiling 'Unwanted Number' after 7pm!" It's interesting to release Unwanted Number given what the song is about. According to Amazon UK the deluxe edition has 2 CD’s. Listening to the Unwanted Number clip, it sounds like the lyrics have been revised from the way he did it live way back when. Seems like he took out the most powerful part about possible abuse by the narrator's father/stepfather/some adult male...surprising. FAVEHOUR wrote: Listening to the Unwanted Number clip, it sounds like the lyrics have been revised from the way he did it live way back when. Seems like he took out the most powerful part about possible abuse by the narrator's father/stepfather/some adult male...surprising. This is what I meant. The original was much darker - it was an incestuous story. When I read the Grace of my Heart lyric it was sanitised and I thought it was my memory playing tricks. Thanks Favehour! If it really takes out that part of the story, I'll be disappointed, in that the earlier version was pretty harrowing. You had a girl who gets dumped by the guy who got her pregnant, whose father didn't care about her, who was molested by either her father or the guy her mom brought in as a replacement, whose mom looked the other way, and now she is going to have a kid and you just have to hope it won't end up getting mistreated as well, repeating the cycle. Changing it makes it more about her just being dumped by a cad. I'd forgotten that the For Real rendition for the film sanitised the story too. Made sense in the context of what they could expect to get on the radio in the era depicted by the movie. Last edited by FAVEHOUR on Thu Jul 26, 2018 5:07 pm, edited 1 time in total. "Unwanted Number" can be heard at 2:26:45. Neil. wrote: So if the new single is the Grace of My Heart text, I can confirm it's powerful enough without prior knowledge of the previous version. It's more of a cross between the original live version and the Grace of My Heart version. Well I guess the soundtrack version wasn't so tame after all. Guess I should've gone back and listened. Still, the new version seems to be the tamest of the three.